Having listened to the experts I've really got into spiralizing my vegetables over the past couple of years. I don't have a gadget or a machine, just a simple peeler style spiralizer that costs just a few pounds. However now that I'm used to 'courgetti', and have persuaded the family to eat it, we are struggling to find fresh courgettes in the midst of the courgette crisis. Rain, frost and snow in Spain have reportedly resulted in a shortage of courgettes and broccoli and now iceberg lettuce too, with other foods under threat including baby spinach, rocket, cauliflower, broccoli, peppers, and cucumbers. Now I could say broccoli (the stalks after using the florets) but that is also currently scarce and peppers are rumoured to also be soon. However, both vegetables do make great alternatives so if you find them then great. So what about the vegetables that are currently plentiful? Seasonal produce such as root vegetables is available in abundance at the moment. Have you tried spiralizing carrots? parsnips or sweet potato? Or why not slice leeks lengthways to make leek spaghetti or shredded cabbage - it has been used that was in slaw for many years! 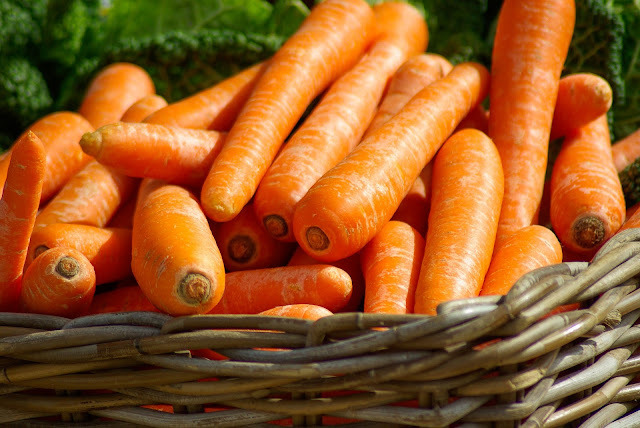 Carrots are a rich source of vitamin A which helps to maintain healthy skin, and they also aid digestion. Raw carrot ribbons can add texture and crunch to a salad or slaw. Or, you can stir-fry the carrot ribbons - all they need is a couple of minutes. 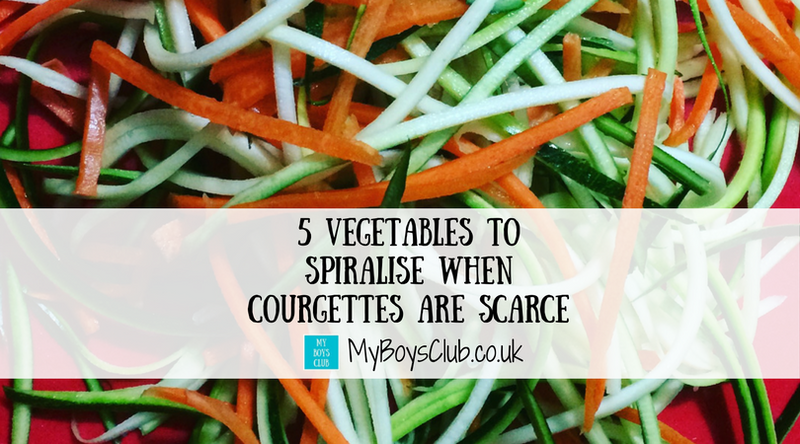 I already use spiralized carrots with courgette and add to noodles or half the usual amount of spaghetti or noodles to make a lighter meal. 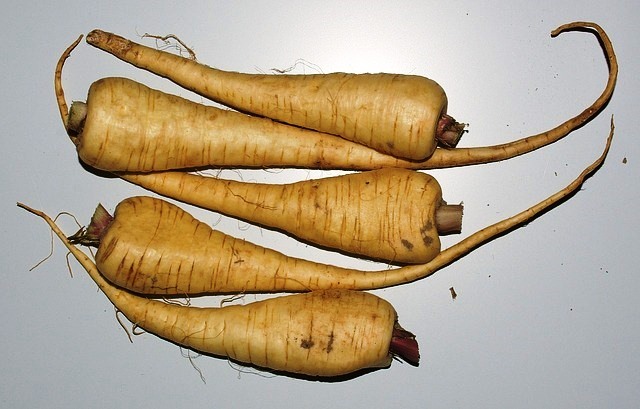 The sweet, juicy root of a parsnip is rich in several health-benefiting nutrients, vitamins, minerals, and fibre. Peel and slice off ends flatly and evenly before spiralizing large, flat parsnips to make röstis or parsnip fries. Also, make a sweeter than usual noodle - just stir-fry for 5-7 mins. 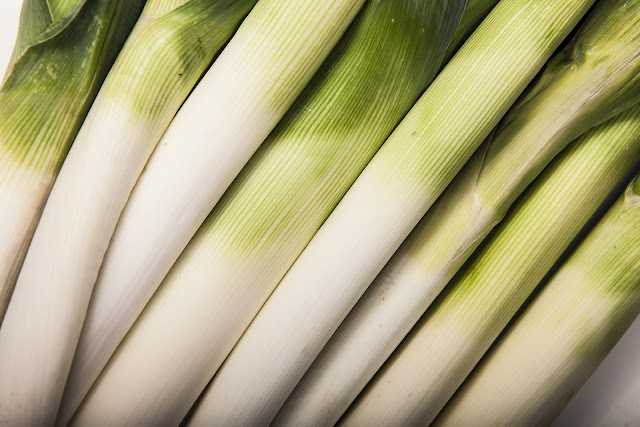 Leeks are a good source of several vitamins and minerals, including vitamin A, vitamin B6, vitamin C, vitamin K, Iron, Calcium, Magnesium and Manganese. Slice leeks lengthways to make spaghetti or noodles. They just need boiling or stir-frying for a couple of mins. Lovely in a cheese or garlic sauce too. 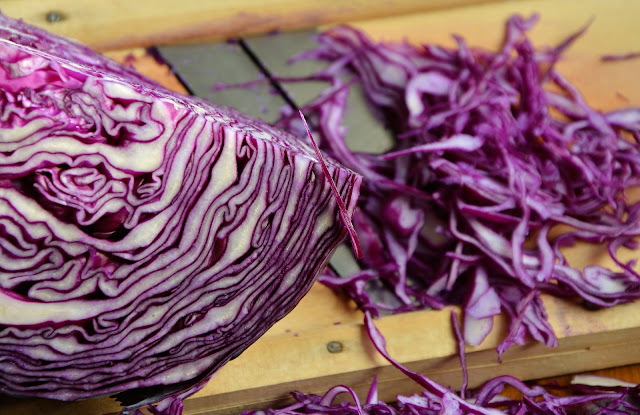 Cabbage is an excellent source of vitamin K, vitamin C and vitamin B6, as well as manganese, dietary fibre, potassium, vitamin B1, folate and copper. Remove any loose outer leaves and shred. We all know it makes a great slaw but can be used in stir- fries too. Can be red, white or green variety. 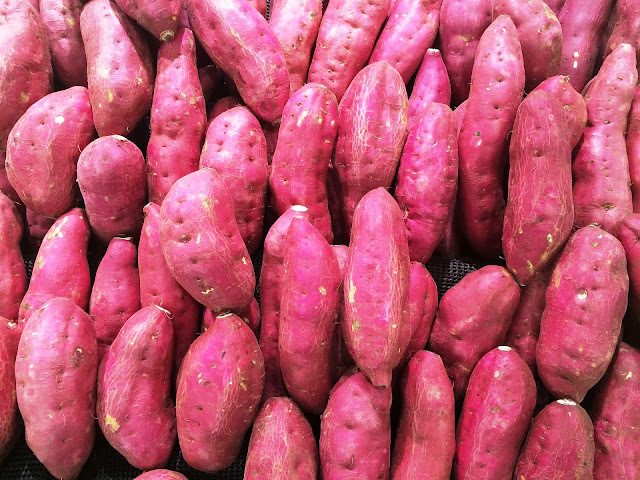 Sweet potatoes are an excellent source of vitamin A and also vitamin C, manganese, copper and vitamin B6. They also contain potassium, dietary fibre, niacin, vitamin B1, vitamin B2 and phosphorus. Use to create sweet potato curly fries by tossing in a little oil and baking until crisp. Or again use in place of noodles or spaghetti for an alternative tasty dish. So until courgettes some into season, we'll be having much more vegetable noodles and spaghetti made from carrots, leeks, sweet potato, parsnip and cabbage. What vegetables have you tried spiralizing? I have never joined the spiralized trend this is something which I think I may have to change,I also fancy trying sweet potato's in the future because I know that there are a number of vegetables which I eat that are on the list which of foods which there could be a shortage of which means I am going to have to try new things. At first it seems strange but it does actually add to the flavour. Let me know if you give it a try. I just bought myself a spirelli because I LOVE courgetti. I did notice it was a bit more expensive lately but didn't realise the shortage. Interesting article, though I'm not sure about anything other than courgetti yet... I guess I'll just have to try it sometime! Beautiful photos too. I really need to start spirilising (have I spelt that right? Lol!) I love the idea of making curly sweet potato fries! I think my boys would love them too! I've never owned a spiraliser, but I definitely think I need to! I hate to admit I've completely missed out on this, ive never spiralized and I'm quite ashamed to admit it! Most hotel rooms here are stylish and modern.